This is not a printed leather! This camo duffle is made piece by piece and sewed on piece by piece as well. This Duffle is a serious piece of work and full of detail. Built on the silhouette of our classic duffle this bag is what happens when old world craftsmanship and the streets meet. Dimensions: 20" wide x 10" high x 10" deep. 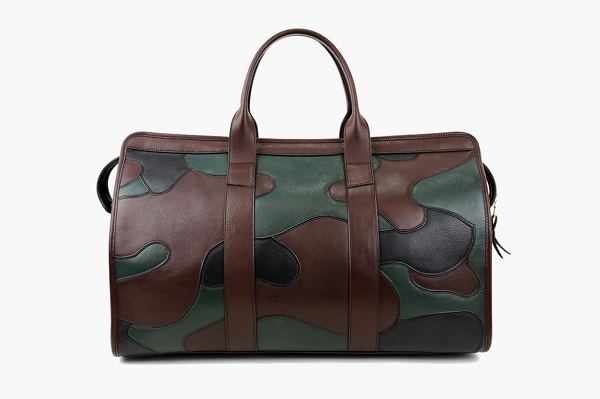 The Frank Clegg Leatherworks Camo Travel Duffle is now available through the brand’s online store for $3,000 USD. If you need this item, just buy it online.